On Monday, the Tax Foundation released a new study by Joe Henchman on Unemployment Insurance policies in the 50 states. The study highlights that while the federal-state program is supposed to be counter-cyclical, in reality states do not use periods of high growth to prepare their unemployment trust funds for recessions. At the beginning of 2008, most states were prepared to pay less than one year’s worth of high unemployment benefits, leading to quick insolvency for many states’ funds in recession. 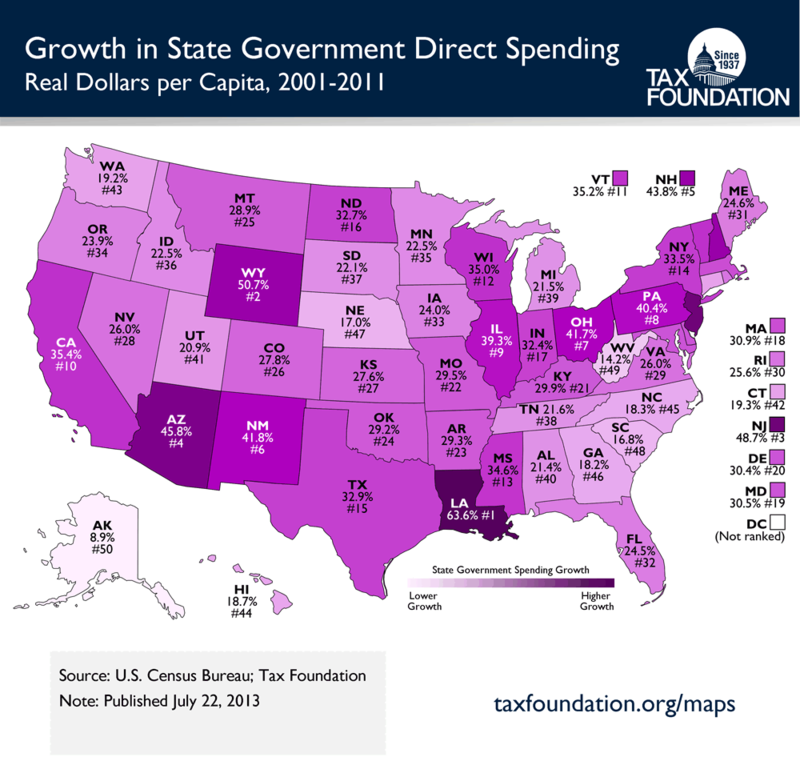 The study also provides analysis of the different taxes and benefits across the states. The compilation of the variation of tax rates, duration of benefits, funding gaps, and other policy factors makes this paper an excellent jumping off point to look at state level reforms based on states that have performed relatively well in this program compared to the neighbors. In a more ambitious policy proposal, Henchman recommends Individual Unemployment Benefit Accounts as an option for reform. These accounts, which Chile adopted in 2002, provide a measure of income stability during periods of unemployment. Unlike state-administered UI programs, though, private accounts do not carry the perverse incentives that may dissuade people from finding work while they are receiving these benefits because money which goes unused during unemployment can be accessed upon retirement. In 2010 Eileen Norcross and I did a brief analysis of the incentives that the current UI program provides and came to the same general policy recommendation. This entry was posted in Economic Policy, Federalism, New Publications, New Research, Tax and Budget and tagged Chile, growth, Individual Unemployment Benefit Accounts, Joe Henchman, reform, retirement, tax, Tax Foundation, tax rates, UI on October 18, 2011 by Emily Washington. Budgeting is not easy. While some Republicans claim budget cuts are a way to boost short-term growth, the data (see p. 5) suggest that spending cuts are no more stimulative than spending increases (which is to say they aren’t stimulative). But that isn’t why budgets need to be reined-in. They need to be reined-in because it is mathematically impossible for state budgets to continue to grow faster than the private sector on which they depend. And if they aren’t reined-in, future cuts will be far larger and far more painful than those being proposed today. That is me, writing in today’s New York Times Room for Debate. It also features pieces by Joe Henchman of the Tax Foundation and Elizabeth McNichol of the Center on Budget and Policy Priorities. This entry was posted in Economic Policy, Tax and Budget and tagged boost, budgets, growth, New York Times, spending, Tax Foundation on May 16, 2011 by Matt Mitchell. Fairfax County’s Economic Development Authority has opened a new office in Los Angeles. Their aim is to lure Californians who are fed up with the Golden State’s web of taxes and regulations. It is true, of course, that California’s business climate is abysmal. According to Sorens and Ruger, California is number 44 in terms of fiscal freedom (with 50 being the least-free), and 46 in terms of regulatory freedom. Other indices come to the same conclusion. Kail Padgitt of the Tax Foundation, for example, evaluated states based on their business tax climate and California came in at #49. Virginia, by contrast, does decently well in both reports. By Sorens and Ruger’s measure, the state is the 13th most-economically-free in the nation and by Padgitt’s, its business tax climate is the 12th-best. Given the important link between taxes and economic prosperity—see studies by Agostini and Tulayasathien (2003); Mark, McGuire, and Papke (2000); Harden and Hoyt (2003); and Gupta and Hofmann (2003) or reviews by Helen Ladd (1998) or Padgitt (2010)—it might seem only natural for Virginia to highlight its relatively low-tax environment. The irony, however, is that taxpayer-funded projects like an economic development office located 2,285 miles away from the county make it more-difficult for Fairfax to maintain its competitive tax rates. More expensive than the office itself are the handful of subsidies and tax expenditures that the state and the county offer to businesses that relocate or that meet special criteria (these subsidies include the option for the state to dole out “discretionary, deal-closing” benefits). Proponents of economic development programs will no doubt contend that these expenses pay for themselves. But the economic literature is far from conclusive on that score. Some studies find that targeted incentives lead to employment growth in the industries they target. But others find evidence to suggest that these results are exaggerated. Examining 366 Ohio firms, for example, Gabe and Kraybill (2002) found that incentives have large effects on announced employment growth but modest or even negative effects on actual employment growth. According to a recent Wall Street Journal article, some states and localities have begun to notice this discrepancy. John Garcia, the economic development director in my hometown of Albuquerque recently announced that the city was trying to collect nearly half a million dollars in property tax abatements that were given to a call center that relocated and then closed shortly thereafter. But the real question is not whether these types of incentives are a good deal for the firms that receive them (one would think they would be! ), but rather are they a good deal for the state at-large? In a case study examining Virginia giveaways, Alwang, Peterson, and Mills (2001) draw attention to the fact that “most economic development events involve winners and losers.” For example, other firms may have to pay higher costs for purchased inputs. They found that the benefits doled out to one firm cost others more than $1 million, annually. [W]hen competition takes the form of preferential treatment for specific businesses, it misallocates private resources and causes state and local governments to provide too few public goods. Furthermore, cost-benefit analyses of economic development deals rarely account for the so-called rent-seeking losses that such deals inevitably invite: firms will sink millions of dollars into societally useless activities—lobbying and ingratiating themselves to the politicians—in an effort to win these privileges. The money they spend on smart and expensive lobbyists, lawyers, and accountants would be better spent developing new products and services that actually provide value to customers. These losses are hard to measure but that does not mean that they don’t exist. In my view, states and localities should aggressively compete with one another over businesses. And part of that competition should involve figuring out ways to provide public goods at the lowest possible tax and regulatory cost. But this cost should be low for everyone, not just for the politically-connect firms. HT to my colleague, Dan Rothschild, for directing me to the news about Fairfax County. This entry was posted in Tax and Budget and tagged California, county, Dan Rothschild, economic development, Economic Development Authority, Fairfax County, Golden State, growth, Helen Ladd, HT, John Garcia, local governments, Los Angeles, make, tax, Tax Foundation, tax rates, wall street journal on May 3, 2011 by Matt Mitchell.